Cool Tools + Cool Nashville Crew = Cool TV! Nashville Crew heads to the land of Liberty and Cheese Steak! Nashville Crew Will Rock You Like a Hurricane! The tale of Hurricane Irene. Denver DP Follows Murder Case for "20/20"
Phoenix Cameraman Is Feeling Lucky in Vegas with A. Smith & Co.
What happens at NAB... usually doesn't stay at NAB it will most likely end up in your gear package. LA Crew with A&E's Lifetime for Short-Form Series "Chloe Does It"
GTT's Los Angeles Crew puts some miles in for the NFL Network! Where in the world is Dan Lowrey? Catch him if you can! LA Crew is Staying Busy with New Slider! Los Angeles Crew Gets Schooled – Acting Schooled That Is! LA Crew Works To Keep The Bourbon Off Bourbon Street for NFL Pre-Game Show! LA's Clark Crew Wraps Its EIGHTH Year on NASCAR! Sightseeing In London - Time-Lapse Style! Go To Team Los Angeles Is Hanging Out At The Bar! The World Series for Fox Sports... Does it get any better? Seven Years Makes It a Tradition... The Hanger Shoot in Daytona for NASCAR on FOX. 'Cubed' Goes On The Road - To Dallas, Texas for the SuperBowl! Arri Ultra Primes on the Sony F3...The Newest Camera Out There And Go To Team Has It! Working with TNT Is Dynamite... Atlanta and Los Angeles Directors of Photography Light It up on NASCAR. Director of Photography, Skip Clark shooting Varicam in Los Angeles... a lot. Who doesn't want to shoot with the Harlem Globetrotters? We helped open ESPN's Wide World of Sports. Go To Team is Playing Around In Philadelphia, waiting on the World Series to dry out. A Big Day In Philadelphia… If the Rays can move it back to Tampa, Go To Team works some more! Miami Camera Crew Hits the Gym with A-Rod for E! Nashville Crew Films Academy of Country Music Honors with E! Nashville Crew Shoots for A&E's "Look Who's Stalking"
GTT's B1G Tour Continues into "The Wolverine State"
Nashville Crew to Austin for South-by-Southwest Film Fest. Nashville Crew Kicks it into Gear for TruTV's "Full Throttle Saloon"! New York Video Crew Helps Bissell "Empty the Animal Shelters"
The Greatest Golfer's in the World take shots on the Green Screen for ESPN Promos. Go To Team and Space Flight now take to web - and GO Global! Universal’s Hollywood Rip Ride Rockit is now Rolling! Live from Orlando - "Tiger Talks" - Woods goes on the web! ASCO - CNBC - and GTT! 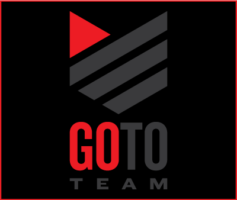 Behind The Scenes of "Basic"
From Cape Canaveral, Florida – Go To Team has liftoff!